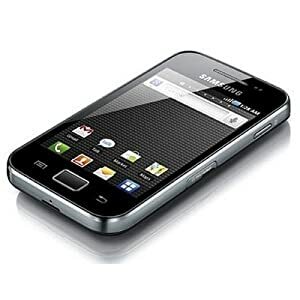 I bought a new quad band android smart phone last month that I will use during our travels. The kids immediately went into a state of phone envy. I have to admit it was fun to play with the new phone, download a few aps, and play around. But now the question comes up from the kids “when will we get our phones?” Suzanne & I have spent time thinking about this, and we both like the idea of phones for the kids in case they get separated from us – they can just give us a call. In this respect cell phones are a wonderful thing, and will allow Suzanne and me to relax a little about the scenario when one of them wanders off and gets lost. Of course for us to take advantage of this wonderful technology at least 3 things need to happen. First, I need to shell out the bucks to buy them phones. Second, they need to not lose the phones. Third, they need to not play games on their phones so the batteries are down to empty when they need to make a call. On the first item, I have budgeted for phones, so we are through the first gate. I ordered the phones and will put within view but out of reach on a top shelf. With regard to the kids not forgetting their phones any time they sit down in a chair, I have low confidence based on recent behavior. So I devised a way for them to earn their phones by demonstrating their ability to remember important things such as homework, lunch bags, musical instruments, jackets, etc. Patrick put a chart on the wall labeled “The Forgetting List”. They immediately begin to compete with each other, which of course is counter to my objective. I want them to prove they can remembering stuff and may not lose the phones. It would also be nice if they collaborated to help themselves remember. So, I changed the rules so they will win or lose the phones together. The composite score for both of them can be no more than 3 forgotten items in a week. If they forget more than 3 items, they fail that week. If they fail more than 2 weeks out of the remaining 8 weeks of school, then NO PHONES. At least not at the beginning of the trip. You would have thought that I had stuck them with needles! The idea of being scored together caused Alex to literally sob and cry. Patrick railed at the injustice of it all. I suggested that they may want to spend a little time figuring out a plan for how to help each other remember stuff. Alex said “what a horrible job, following Patrick around making sure he hasn’t forgotten anything”. Suzanne had a great chuckle as she explained to Alex that following kids around and reminding them not to forget stuff is a big portion of her day. I’m happy to say, they passed the first week with a score of 2 forgotten items. I’m rooting for them! With regard to phone battery management while abroad, I’ll have to cross that bridge while we are on the road.